Lyme disease is a bacterial infection which is transmitted by tick bites and the Health Protection Agency is advising people to take care when visiting areas where ticks are present, to prevent tick bites and reduce the risk of catching Lyme disease. Ticks are flat until they begin to feed on animal or human blood, swelling more than four times their body size. Latest provisional figures from the Health Protection Agency (HPA) show there were 953 laboratory-confirmed cases of Lyme disease reported in England and Wales in 2010. The majority of these cases were acquired in the UK rather than overseas, with two-thirds of cases identified among residents in the South of England. The overall figure for England and Wales is estimated at between 2,000 and 3,000 cases a year as in previous years, as some cases are clinically diagnosed rather than being laboratory tested. Incidence of Lyme disease acquired in England and Wales remains low compared to some other European countries, particularly those in central Europe and Scandinavia. Ticks are tiny spider-like creatures which can be found in forests, woodland, heaths, moorland areas and in suburban parkland. Any area in which ticks are present should be regarded as having a potential risk of Lyme disease. 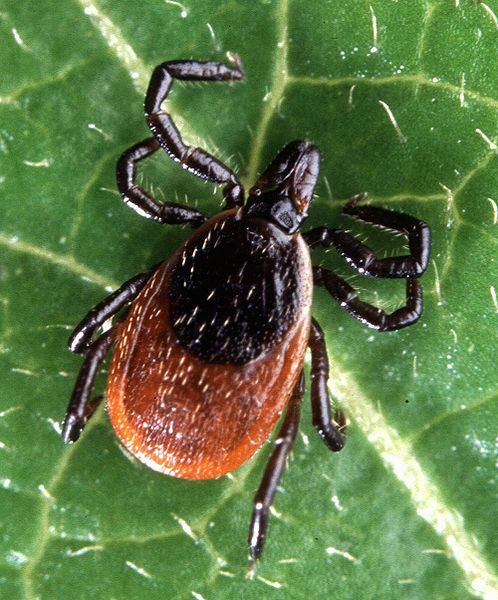 Late spring, early summer and autumn are peak times for tick bites and coincide with people venturing into the great outdoors in the warmer weather. Cases of Lyme disease are often acquired through recreational activities including walking, hiking and mountain-biking. Areas where the infection has been acquired in the UK include popular holiday destinations such as Exmoor, the New Forest, the South Downs, parts of Wiltshire and Berkshire, Thetford Forest, the Lake District, the Yorkshire moors and the Scottish Highlands. Lyme disease leaflets produced in conjunction with The Royal Parks and New Forest District Council. Lyme Disease Action – UK based Lyme Disease Charity. Striving for prevention and treatment of Lyme Disease and associated tick-borne diseases.